Mammoths, bisons and turtles — oh my! 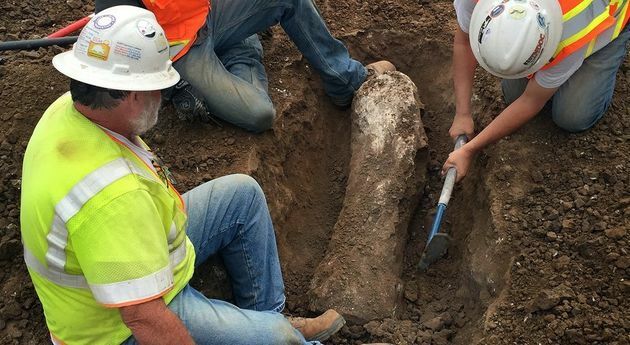 A huge array of ice age fossils, including the bones of mammoths, turtles and horses, were uncovered at a Southern California construction site this summer. The fossils found in Carlsbad, California, are 50,000 to 200,000 years old. That dates from the Pleistocene Epoch, a period that included the last ice age. The discovery delayed construction on more than 600 homes by Cornerstone Communities as paleontologists scour the 60-acre project site. 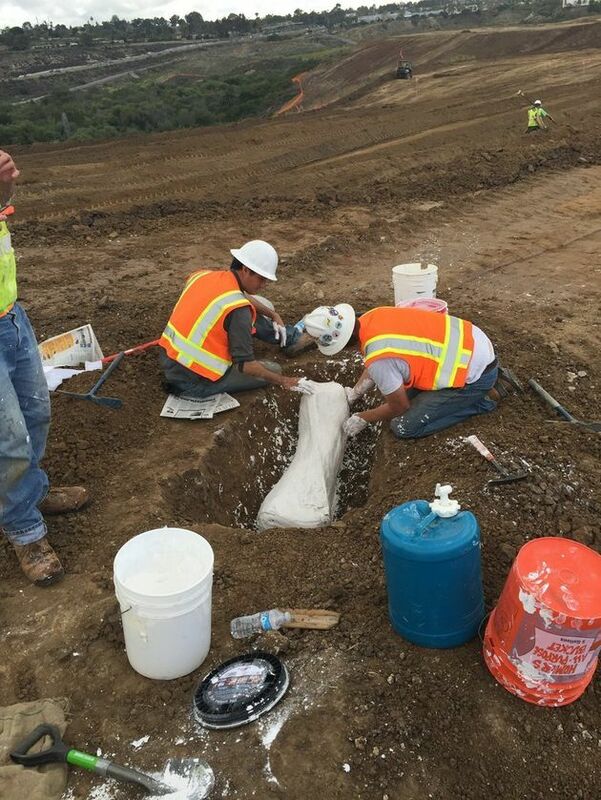 A photo posted Friday on the company's Facebook page shows workers in hard hats excavating a large bone encased in dirt. The haul includes the partial remains of a prehistoric bison, which were carted away to the San Diego Natural History Museum for display. There are also parts of skeletons from two Columbian mammoths; the animals, larger than woolly mammoths, could grow to be 13 feet tall at the shoulders and could weigh up to 10 tons. “They are direct connections with the past, an ancient ecosystem that was once common here. We can understand how climates can change by studying these ancient ecosystems,” Tom Deméré, curator of paleontology at the San Diego Natural History Museum, told the San Diego Union-Tribune.